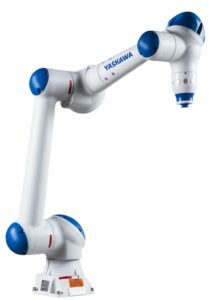 Yaskawa Motoman has demonstrated a range of new automation solutions for material handling, human-robot collaboration, and mobile machine tending and material movement during IMTS 2016. The GP8 (main picture), one of Yaskawa Motoman’s next-generation robot models, is designed for material handling applications. The high-speed GP8 has an IP67 washdown rating with an easy-to-clean surface for use in harsh environments. Its slender design allows it to delve deep into the workspace, and it can be placed in close proximity to other robots. A single cable is needed to connect the manipulator and controller, resulting in easy setup and reduced maintenance expenses. The GP8 has an 8-kg payload capacity, a 727 mm reach, and can be floor-, ceiling- and wall-mounted. It is one of several models that will be available in 2017. 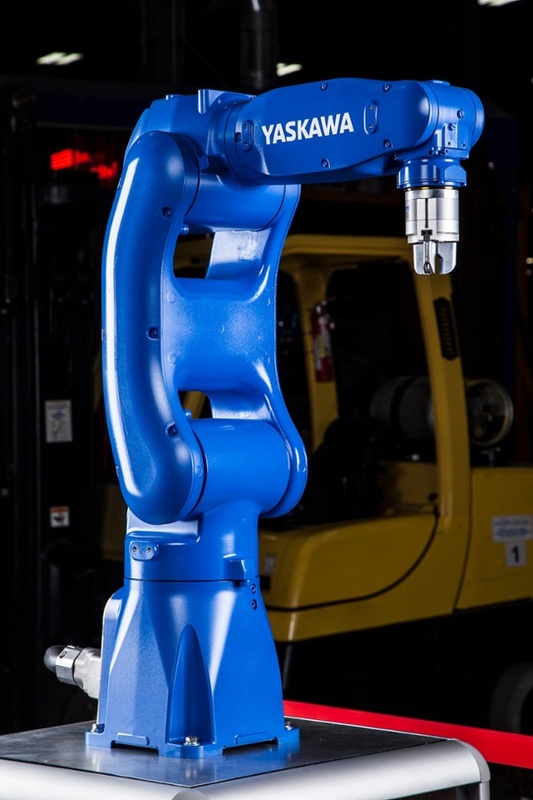 Featuring a speed- and force-limited design, the six-axis HC10 robot works safely with, or in close proximity to humans. Utilizing easy guide-through teaching, it is fast to deploy or redeploy on demand, says Yaskawa. The HC10 is easily adaptable to changing requirements, and can be integrated with existing automation infrastructure. The highly configurable HC10 offers a 10-kg payload and 1,200 mm reach, and can perform a broad range of material handling, machine tending or light assembly tasks. It will be available in 2017. New mobile robotics technology that can be applied in various applications including machine tending and material movement will be demonstrated with the YMR12, a combination of a Motoman MH12F robot (12 kg payload) and Otto Motors’ Otto 1500 self-driving vehicle (1,500 kg payload). 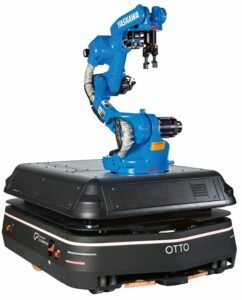 This fully autonomous platform can perform multiple handling operations and logistics tasks throughout the shop floor and can communicate with other machines via wireless direct connection to a PLC. The YMR12 is equipped with a vision system and an adaptive gripper. It provides a viable alternative to the traditional method of utilizing a fixed robot station. Solutions for 3D vision, arc and spot welding, and assembly were also featured. RoboticsAndAutomationNews.com provides information about the most important and interesting developments in the robotics and automation industry. From the latest products launched by established companies to the most innovative startups, including exclusive interviews with key individuals in the sector and analysis of trends, the website keeps readers up to date with what they need to know. The website also publishes valuable research data about the global robotics and automation business, such as a list of the top companies with the most robots installed worldwide.